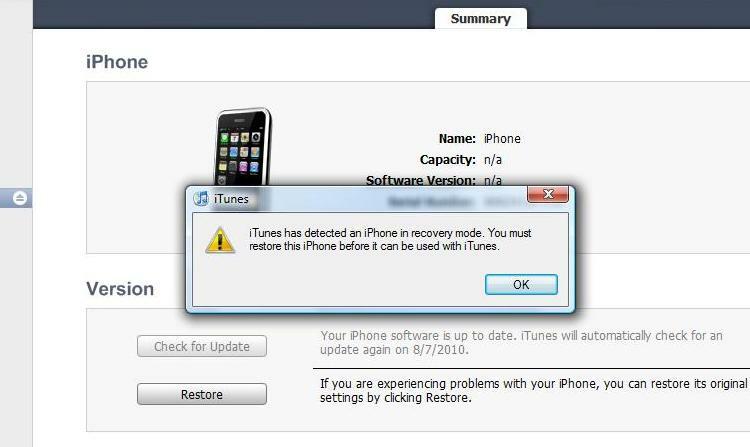 What is Recovery Mode in iPhone ? When you are upgrading your iOS software in iPhone you will be encountering Recovery mode when your iPhone goes into Recovery mode. How to Enter your iPhone into Recovery Mode ? To Turn off your iPhone device: Press and hold the Sleep/Wake button for a few seconds until the red slider appears, then slide the slider. Wait for the the iPhone or iPod touch to turn off. When you cannot turn off your device using the slider, press and hold the Sleep/Wake and Home buttons at the same time. When the device turns off, release the Sleep/Wake and Home buttons. While pressing and holding the Home button, reconnect the USB cable to iPhone. Once you have connected your device to your laptop or PC with the USB cable your device will switch on automatically. If necessary, open iTunes. You should see the following “recovery mode” alert on your screen. 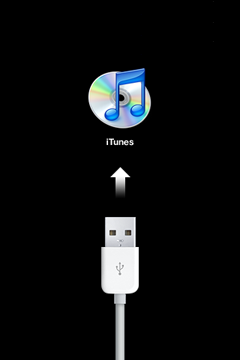 When your iPhone is In Recovery Mode the Screen shows a cable and a CD looking iTunes icon. Press and hold Power button + Home button for about 10 seconds, this will shut the screen down and the Cable and CD looking iTunes icon will disappear, This is when you should let go of buttons. Once again, press and hold power+home buttons (only this time, you’ll mimic the entering DFU mode like pattern) by counting to about 8 seconds then release the power button. Keep holding down the home button until about 20 seconds then let go. During this time, the Apple logo should reappear but don’t get distracted, keep up with the counting. By the time you let go of both buttons 20 seconds later, the Apple logo should stay lit and it will boot into the normal mode.